The Credit Union supports many different police events across the UK. Not only do we support police events, but the Credit Union financially supports 33,000 members. This all works towards the Credit Union aim of having a happy and financially secure police forces, with savings to fall back on. Last week the National Black Police Association conference took place in Belfast. The conference saw delegates from all over the UK in attendance, with the highlight of the event being the awards ceremony which saw very worthy winners acknowledged for the work they do. Marketing Officers, Jo and Lois, thoroughly enjoyed participating in this event. 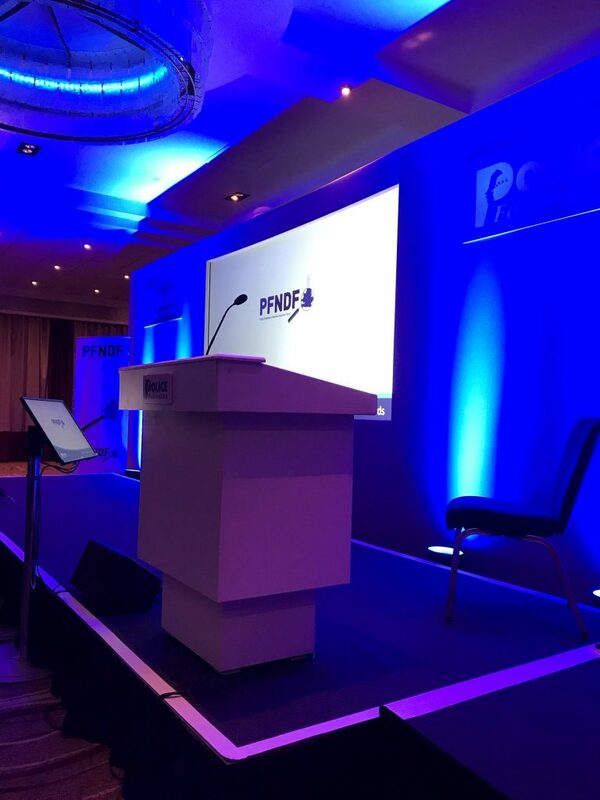 At the Police Federation National Detectives Forum Awards night on Thursday 11th, our Chief Executive Officer – Caroline Domanski, presented the award of New Trainee Detective of the Year! Caroline had the pleasure of presenting the winner from Metropolitan Police their award, alongside the runners up – one from Merseyside and one from West Midlands. Not only did all of this happen in the space of two weeks but Hampshire Police Federation’s Open Evening also took place. With the recent changes within the Federation the team were looking forward to meeting new faces as well as catching up with old friends. And before the week end, No1 CopperPot will be supporting North Yorkshire’s Women in Policing Conference on 19th October. The Credit Union is proud to support the Police Family and its partnered forces. It is a privilege to attend these events and be reminded of the great work the police do, and see individuals personally recognised. We look forward to continue supporting these events in the future.